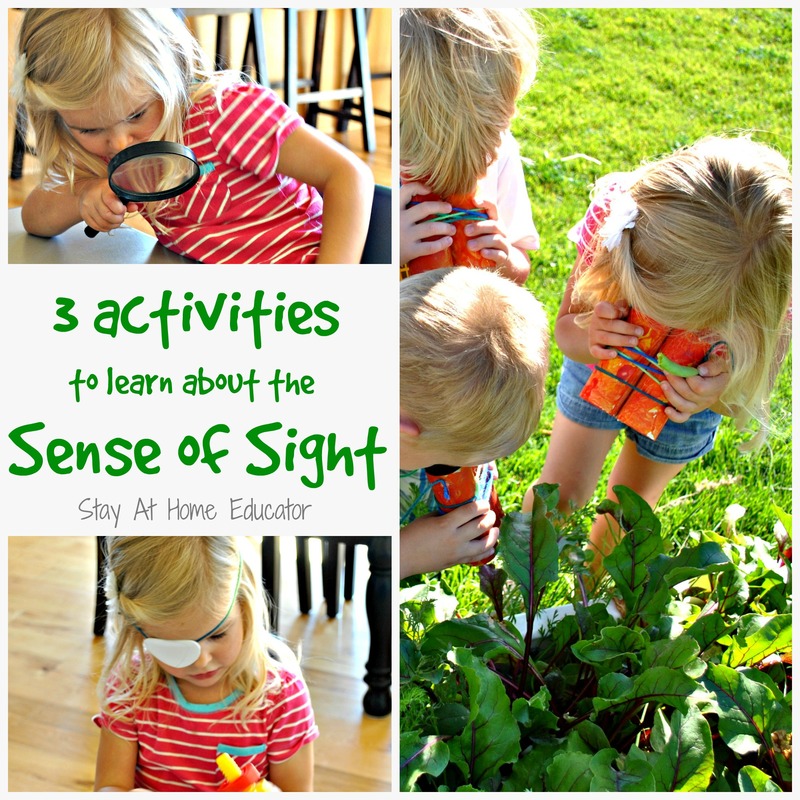 A while ago I mentioned how in preschool we had spent some time learning about the five senses. This still continues to be a theme we refer back to on occasion as preschoolers, by nature, are sensory learners. 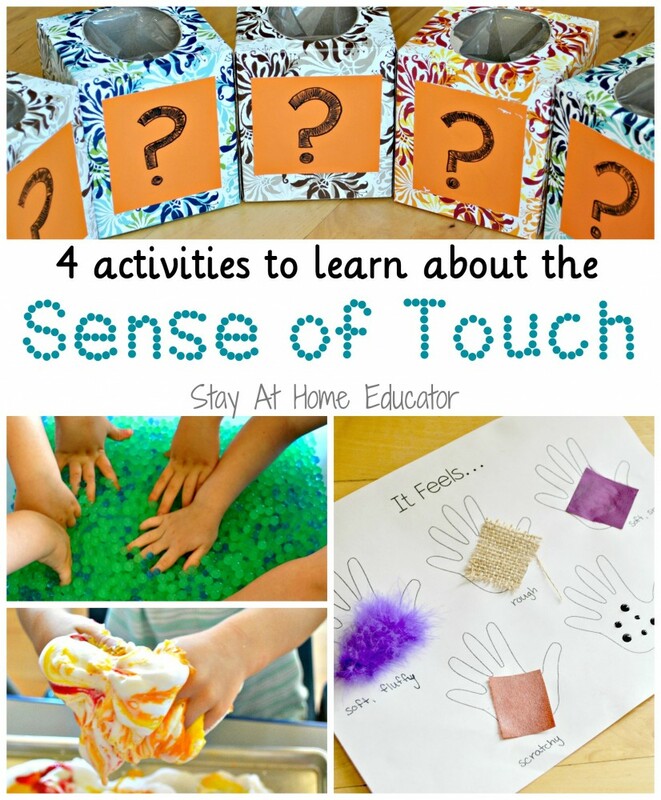 Today I’m sharing four creative ways to teach about the sense of touch. 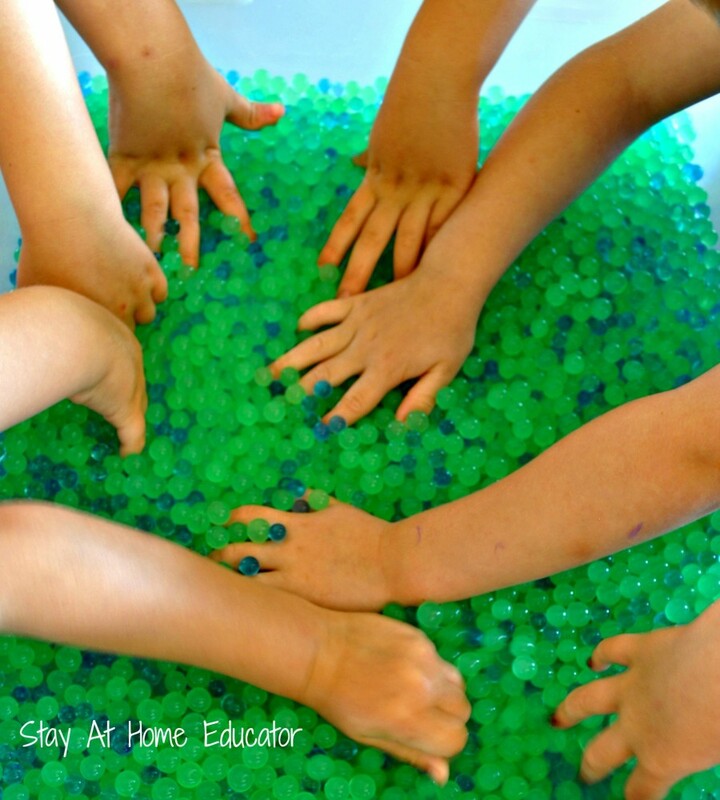 Water beads are still highly popular in preschool settings as they make a great base for sensory bins. While planning this unit on the five senses I wanted to give my preschoolers a range of materials to interact with, thus putting out a bin of water beads for them to explore. 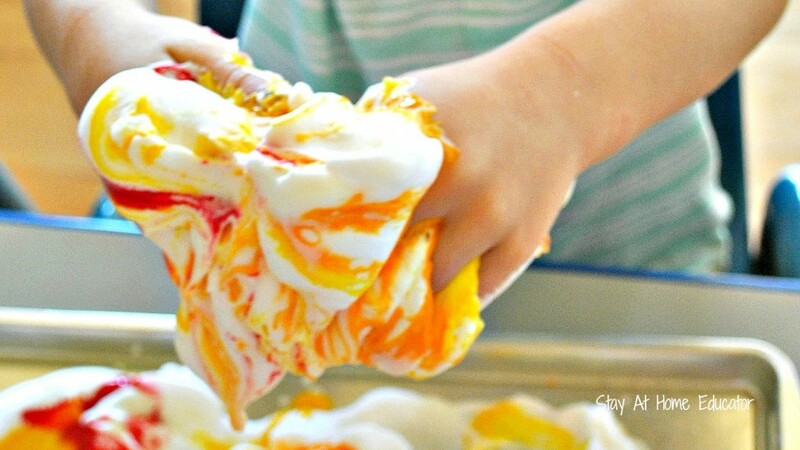 I kept the sensory bin very simple, with only a few scoops for scooping, pouring, and transferring. 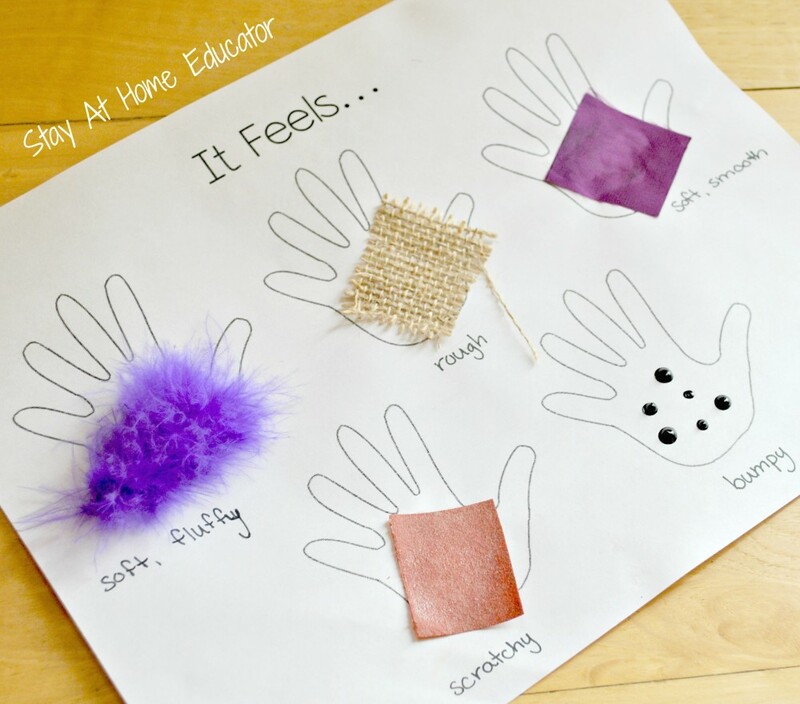 During this sensory play, I encouraged the children to explain what they were feeling. According to my preschoolers, water beads are squishy, slimy, bouncy, wet, and slippery. Some students really enjoyed the water bead sensory bin, while others were not to keen on it. This, I think, was my favorite activity to pair with teaching the sense of touch, and it hits the sense of smell, as well. I gave each student a tray filled with shaving cream from the dollar store. Then, I squirted some washable paint over the top of the shaving cream and invited the students to use their fingers and hands to mix everything together. 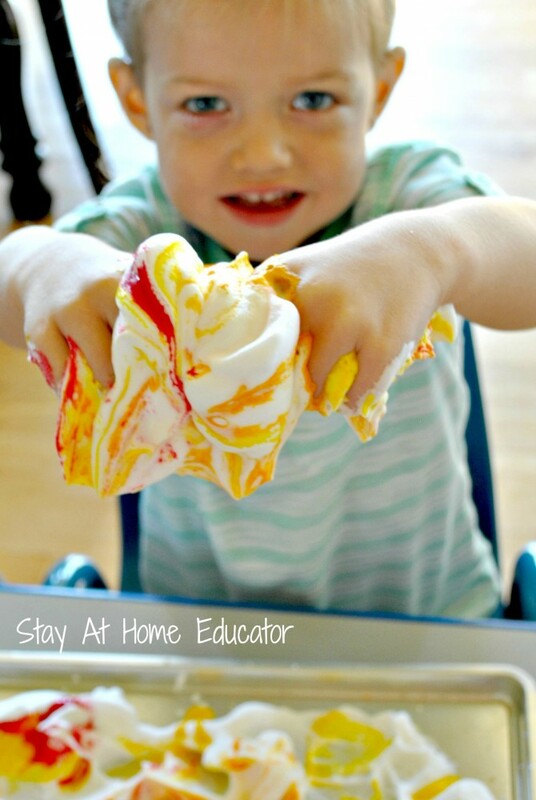 I love this picture of a student holding up her ooey and gooey and foamy mess, and yes, shaving cream can be messy, but so, so easy to clean up. Not to mention that is makes your house smell awesome. After some thorough mixing, I helped each student place a piece of white construction paper over the shaving cream left on the tray. Be careful not to push down too hard, as it will diminish the design produced. 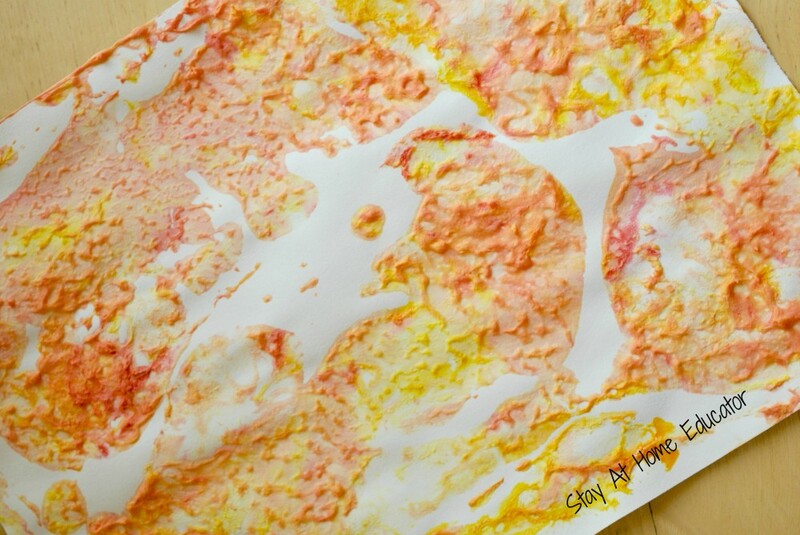 Allow to dry, and you end up with a wonderfully textured piece of artwork to hang. Just a note, however, once the shaving cream is dried onto the paper, it can and will flake off if touched. This activity can be expanded and extended in several ways, but I’ll give you the basic version that I found on Some of This and Some of That. This was a perfect way to teach my preschoolers about various textures and encourage them to describe what they were feeling. You can get a basic printable version below. I shared five different textured items with my students, and invited them to glue a sample of each item on a printout of a hand. The things included were a strip of boa, burlap, satin fabric, sandpaper, and for the “bumpy” texture, puffy paint. As I gave each student a sample of each piece, I again encouraged the children to describe what they felt. Once the papers were dried, we revisited the materials, touching each one again, and I labeled the hands according to how the preschoolers described the feeling to me. 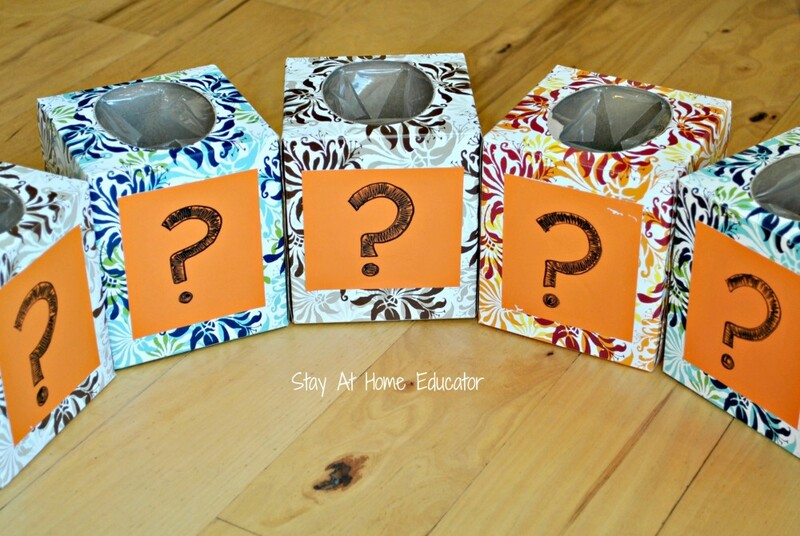 Throughout cold season, I’m always collecting tissue boxes because I know I will have a need for them throughout the school year. This is one such activity where tissue boxes are a perfect container. Using the same materials from the activity above, I placed a sample in each tissue box and invited the students, one by one, to feel the contents of a box. I asked the student to describe the texture of an item and then try to identify which material it was, by using our “It Feels…” activity as a guideline. Students pointed to the item on the paper they thought they were feeling inside the box. This activity was inspired by this one by PreKinders. Following are some books we read about the five senses, as well as some specifically relating to the sense of touch. 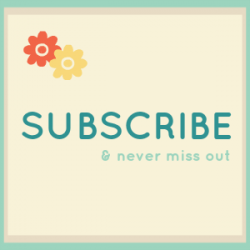 LOOKING FOR MORE THEME ACTIVITIES AND LESSON PLANS? I love teaching by theme because I get to teach an inch wide and a mile deep. 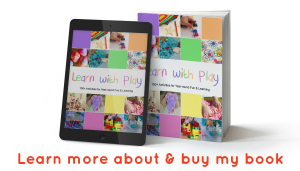 This is not to say that I don’t listen what my preschoolers want to learn, but I love providing tons of activities related to a single theme so that my preschoolers can really become familiar with a specific topic. See how I do my planning! 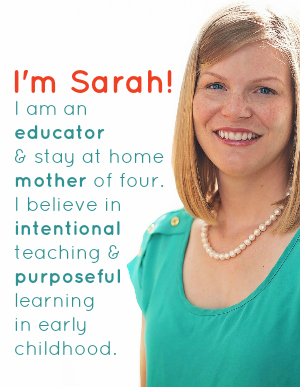 I have an entire landing page dedicated to planning for preschool. You’ll find tons of other lesson planning recourses there. Or, check out my thematic lesson plans, available for purchse. (These are aso avaiable at my Teachers Pay Teachers store). I’m new to preschool and don’t know about water beads. Do you make them or buy them? How or where? Thank you! Sometimes you can find water beads at the dollar store. They are a crystal gel in the shape of spheres. You often see them in floral arrangements. You can always find them at a craft store, but I like to buy mine from Amazon. xcilent idea. I think it will brings out a lot of creativity.